Right now china is in the preindustrial use of coal and the people are feeling the polluting effects in needing to wear masks due to quantity of particulents in the air in many large cities. For my part, I intend to act as if this thread is a discussion between myself and kbd512, with other posters’ comments (and his replies to them) playing no part in that discussion unless they are stating, or he replying to, a point I otherwise would have made. I do this because multi-person discussions very often go off topic, when I believe that this is a topic on which we might actually reach a resolution. I also do this because I'd like to speak for myself to present hypotheses that are falsifiable in form but supported by evidence, with the hope and expectation that my counterpart will do the same. Given that, the material to which I will respond in this post comes from posts 11 and 15 by kbd512 unless otherwise noted. I will also follow Einstein's (possibly apocryphal) dictum: "All things should be as simple as possible, but no simpler". So far as I can tell this part of your post does not contain a single relevant assertion nor evidence on the topic. It does, however, contain several strawmen about "climate changers". In your second paragraph, you point out that this is not an important point of discussion. This is something I agree with: In post #8 I described our disagreement as "small but meaningful" after you accused me (in post #6) of dishonesty in "danc[ing] around" a definition of climate which I did not agree with. In either case it is a settled point. You have broken this section down into an organized critique, which I appreciate. A: You do not believe that we can trust our temperature measurements because of instrument error. In support of this, you provided three links. The first was to a paper describing the challenges associated with temperature measurement. The second was a supplement to another paper. This second link was not useful to me as a source of information because it has neither a description nor an explanation of the information in its graphs. The third is a video in which a climate scientist involved in satellite temperature measurements says that his measurements provide substantial evidence of warming and are consistent with ground measurements, which he believes also show warming. None of these is really evidence in support of your point. The third link explicitly and repeatedly rejects your point for reasons explained within the video. The second is not evidence of anything unless you also have a link to the paper it is associated with (Call me lazy if you'd like: I am not going to puzzle over pages of graphs and acronyms unless they come along with explanations of what is being measured and why). The first is a bit more complicated, so I will discuss it further. The paper investigates a few common types of air-temperature thermometers and finds that the error on the measurements is higher than the manufacturers claim, something which surely is not a surprise to anyone (which incidentally probably includes the scientists using them to measure temperatures). Shouldn't this undermine our faith in the conclusion that the temperature of the planet has been rising? Why not? Because our global temperature measurements are done using (1) many different instruments (2) performing many different measurements (3) over long periods of time. Under these circumstances, the repeatability of individual measurements doesn't really matter (the error falls rapidly as you include more and more measurements), the bias of the measurements doesn't matter (it goes away when you subtract numbers to get an anomaly) and even the degradation of instruments over time doesn't matter (you would expect different instruments to degrade in different directions, averaging out in the long run; and even if they don't you would expect the average age of the instrument to remain similar over time). The only thing that would truly matter would be if, over time, every instrument were changed to read a higher temperature. This would amount to a meaningful redefinition of the temperature standards in the SI system of units which has not happened. B: You think that variations in the way measurement apparatuses are setup undermines the possible confidence we can have in those measurements. Interestingly, the paper you cite repeatedly says that incorrect siting of thermometers has produced a lower rate of temperature increase than correctly sited ones, and also suggests that this incorrect siting is partially corrected for in the data analysis because a particular type of thermometer (and therefore the adjustments associated with that type) is more likely to be mis-sited than another kind. I'm not sure how you think this proves your point, frankly. It seems to prove the opposite of your point, or at least provide evidence for it. C: I'm not sure what to call your assertion in this section. Perhaps the common theme is an assertion that the analysis of the temperature data is being done incorrectly. Full disclosure: I did not watch the hour-long video you posted because I do not consider that to be a good use of my time. Did you watch it? And if so, what points does it make and how does it support them? What portions do you think I ought to watch? Anyway, other than the video the NASA page (which is something like a press release rather than a scientific document per se) explicitly and repeatedly disagrees with your point (unless your point is that climate science is hard, which is obvious? ), so I'm not sure why you posted it. Lastly, that paper is a discussion of possible sources of error in land and sea temperature measurements. So far as I can tell, the author is attempting to discredit these measurements and their use for determining historical and present temperatures. I have not done the research to assess the validity of any of his individual claims, but one thing that stands out to me is that he does not provide an estimate for how much he believes the dataset to be off by. This is a fairly key point: No competent researcher would take any measurement as being the “true” value for anything. All measurements have a precision and a bias, which combine to create uncertainty in the correct value. Climate scientists are well-aware of this and have methods to try to counter it (Data homogenization), and provide error bars on their measurements. For example, the paper you linked to in section B estimated that temperature over land in the United States is rising by 0.32±0.11 degrees celsius per decade. There is a substantial hypocrisy in your post: You claim that homogenizing data is “bastardizing” it, and yet this reference (as well as your references pointing out the way different measurement techniques can affect results) basically argue that the data needs to be homogenized more. Here’s a fact: All datasets are imperfect because all data is biased and imprecise. The standard, effective way to handle that is to measure the bias and then subtract it away. Another problem with your analysis is a persistent confusion between a guess, an estimate, and a measurement. Perhaps you will call this a semantic point. Maybe it is. But words represent concepts, and you are misusing them in a way that suggests a lack of familiarity (or more likely a blindness to) the concepts they exist to convey. A measurement involves using a device which has been calibrated and tested against an external standard to acquire data to directly answer a question. A guess involves using anecdotes, dead reckoning, or other faulty sources of information to answer a question. A guess is necessarily a non-rigorous answer. An estimate is between the two. While you can have very high (although imperfect) confidence in a measurement and should have very little confidence in a guess, an estimate is based on information that is limited, incomplete, or indirect but which can still be analyzed in a rigorous manner. It is often necessary to estimate things when measurements cannot or have not been done, but with sufficient information and well-thought-out methods an estimate can be pretty reliable. When you say that something is an estimate and therefore it is a guess, you are definitionally and conceptually wrong. 2. You claim that different studies use data from a single source. This is not really accurate. It is true, based on the paper presented in section (1)(C) of your post #11, that there is a single database that appears to contain most of the temperature data used in most studies. A database is not the same thing as a data source. Temperature has been measured in various ways and various places at various times going back many years. In fact, you referenced three of these methods (satellite measurement, land measurement, and sea measurement) within this very post. Presumably an organization maintains a database containing all of the historical temperature measurements they can find. Unless you believe that this organization is not entering the data into their database in a straightforward and honest way, nothing of the sort is true. 3. Climate modelling is hard and imperfect, and therefore we shouldn't trust its conclusions. I agree that our confidence in the predictions is less than in the models, and our confidence in the models is less than the measurements. Climate models have basically two uses in my opinion: Testing causality (we have no way of performing a real experiment on the planet itself) and forecasting the future. There are necessarily wide error bars on both of these, but the results generally meet the common sense test. Add greenhouse gases to the atmosphere and the planet will warm. If the planet warms, some polar ice and glacier will melt and sea levels will rise, there'll be more energy to feed certain kinds of storms, local climate and weather will change, sometimes a little and sometimes a lot, etc. It's worth mentioning that because future changes in the climate depend in part on our choices, future models are rarely presented as “predictions”. In post #15, you added another criticism to this: That climate is chaotic and nonlinear and all forecasting is probabilistic. Your conclusion was that modelling and therefore forecasting climate is impossible. This is wrong. The scientific definition of chaos is a system in which small changes in inputs result in large differences in output. Because all measurement has an associated uncertainty, small changes in the actual initial values even within the margin of error result in a wide variety of results. This is how we forecast hurricane tracks by the way, which is something we can do pretty accurately. On the whole, what comes across to me in your various posts is a real derision for the people you call “Climate Changers” which manifests itself in a lot of different ways, but most prominently in a willingness to throw away the work of thousands of very smart people, rather than engaging with it in a meaningful way. 1. Is the planet warming? Or, to put it another way, what is the rate of warming and what are the error bars on that number? My answer is yes, the planet is warming, and that it is warming at a rate of roughly 0.3±.1 degrees celsius per decade, in accordance with the consensus estimate. I think your basic point is that you have no or very little confidence in our measurements of temperature, either present or past. I would be curious to hear your estimate and confidence interval on the rate of warming. If you provide one, I will not nitpick over small disagreements but I will look at what it says about your reasoning and assessment of the state of the data. 2. Provided your assessment is that the Earth is in fact warming, why is it warming (and how sure are you)? We haven’t discussed this much because we have focused more on tier one. This is entirely reasonable because it makes no sense to discuss or argue over causes until you have a consistent view of the phenomena. My answer is that the bulk of the warming is human-caused, as a result of greenhouse gases, by mass mostly CO2 but with a few stronger greenhouse gases creating a warming effect out of proportion to their increase in the atmosphere. Forecasting the future of complex systems is hard, especially when changes in those systems will be affected by human decisions (Which are inherently unpredictable and which are both an input and an output to the model). Most of the effects of a changing climate are neutral, which is to say different but neither good nor bad. If the only effect of climate change was that the temperature was uniformly 2 degrees celsius higher across the globe, I would say it really didn’t matter. In fact I would be quite happy if temperatures where I live were uniformly higher by 5 degrees celsius. There may be a few positive effects but likely will be substantially more negative ones, as well as an increase in the probability of unlikely but potentially catastrophic events (such as a 60 meter sea level rise caused by destabilizing the antarctic ice shield). I detailed some of these in post #4. 4. What should we do about it? While the first three tiers are questions of science and fact, which can be answered using our powerful but imperfect methodologies, this is a political question of values, power, and ideology. It is possible for a person to agree with me on questions 1, 2, and 3 but to believe that the correct response is to stay the course and do nothing. In this thread I have done my best to make this distinction hard and clear. It has been my belief that we should be able to come to an agreement on questions 1, 2, and 3, being matters of fact and evidence, but that we are not highly likely to come to agreement on this question because our political philosophies are so different. I have been surprised to find the exact opposite, where we have both endorsed nuclear power as a response to climate change even though we have not been able to agree that the climate is really changing, why the climate is changing, or how it will change in the future. Anyway, I started off this post saying I would try to be brief. 2500 words later it is clear to me that I have failed, but hopefully I have made at least a few good points and addressed yours in direct and honest way. As you have indicated weather and climate are a function of inputs into the equation... the equation starts with function Night and day with earths temperature escape and warming plus retention as well as reflection. First is the atmospheric thickness plus chemical make up content, moisture or water content, color on the surface for reflection and obsorbtion for land and sea. Second up is the function of change that is on any of these aspects that are in the equation no matter its source. Third is the atmospheric loss rate and chemicals that it has as been effected no matter its source events. Fourth is the initial input of energy over the period of measured time as the earth wobbles and the suns intensity changes. Fifth is temperature is a measurement of overall cause and effect of the loss and obsortion results. Who do you think pays the public liability insurance premium for the nuclear power industry? The nuclear power industry certainly doesn't. No insurance company would provide full cover for potential damages from a nuclear power incident at any price the nuclear power industry could afford. In effect the state covers the cost of insurance. Who do you think pays for protection of nuclear power plants from terrorist threats? The state. Who pays for the disposal of nuclear waste into the future? No one knows. The state probably. I can only refer you back to the links I have already provided showing LCOE prices. Taking one site here and one site there to compare means nothing. Obviously in sunnier climes than Northern Europe or where there is huge potential for onshore wind, the prospects are even better. Wind energy cost given as £62 per MWh (given in the link I previously supplied - official LCOE figures for the UK). So that is £62,000 per GWh. So 10,000 GWhs = £62,000 x 10,000. That equals £620 million or £0.62 billion which converts to $800 million or $0.8 billion. Have you got a decimal point wrong? I understand that the UK's electricity requirements were about 305TWh / 305,000GWh last year, so any solution has to scale up to at least that output level to be viable from a consumption / usage standpoint. At some point someone has to pay for the cost of any power plant. Let's just use the numbers from the document you linked to in order to illustrate this absurdity. To achieve a yearly production target of 10,000GWh (the output of a 1,000MW class reactor; in practice these units all output around 1,250MWe), the Haliade 150-6MW wind farm would cost $9.6B. I used actual output from an actual wind farm (Merkur) for my previous comparison, rather than notional output from a notional power plant. Therefore, I believe the comparison used to be accurate. Merkur is ideally sited and has demonstrated stable output. Our wind farms in the Midwest are all over the map from 15% to 50%. Over 25 years, the revenue is $4.525B... But the plant cost $9.6B to build. Where is the rest of the money coming from just to pay for the purchase price of the power plant? Someone is obviously paying for this scheme, yet you naively think it won't be you, so who else would that be? You don't need climate computer models and proxy temperature histories to know for sure something is going wrong, rather rapidly, and what is likely causing it. You only need those things to attempt quantitative predictions of how wrong and how fast. THAT is what the "deniers" ignore, and it is a rather fundamental mistake. The only stuff you need to know what is going wrong and what causes it are in post 36 some way above. I put them there. If there is ice loss, then there is extra heat to melt it. That physics simply cannot be argued with, it is conservation of energy within a control volume drawn about the glaciated regions. That heat has to come from somewhere. It is also inarguable physics that spectral transmissability affects the amounts of visible vs IR radiant energy that various gases transmit. The lab measurements of these properties are also irrefutable: certain gases such as CO2 and CH4 and H2O tend to block IR transmission more than others. The first two do not experience phase changes at Earthly temperatures, water does. So the first two affect things in simpler ways, globally. Water both affects and responds to the overall system conditions, it is a bit unique, and rather complicated. Draw a control volume enclosing the Earth, treating its atmosphere as a window-pane surrounding it, and calculate the energy balance, knowing there is only radiation received from the sun, and there is only thermal re-radiation back into space. There is an equilibrium average condensed-phase surface temperature at which these energy rates balance, in any oversimplified-but-still-representative model. If you reduce the IR transmissibility of the atmosphere, that equilibrium surface temperature gets higher. Oversimplified, yes. But representative enough to be informative. It's just physics, and those cannot be argued with! It says DO NOT increase atmospheric CO2 content with your activities, or else you MUST expect things to warm! No sane person not morally corrupted by profit-above-ethics can argue with that. You cannot argue with the Keeling curve measurement: we HAVE increased atmospheric CO2 with our activities; and the inarguable physics says that must have some warming effect! The time scale of that Keeling curve record is decades. The past geological records for climate changes of this scale (including trapped CO2 in those bubbles) show time scales of millennia. The speed of the change happening around us is utterly unprecedented. There is no arguing with real data. Is it more complicated than that statement? Yes, absolutely! Are we seeing changes we would expect if there were warming? Yes. Are our activities at least a part of what is causing this? Very probably, but it really doesn't matter. What is prudent is to reduce those activities that we already know act to aggravate the problem. Stop unburying and burning such massive amounts of fossil fuel. That's where it comes from. Nothing else we do releases such tonnages of CO2 to the atmosphere so quickly. Save it for the next ice age, when we really will need it. There is nothing else to do except try to figure out how to cope with a fast-warming world with fast-melting ice on land. Cope with catastrophic sea level rise, and catastrophic shifts in rainfall patterns. Not to mention the extra uncomfortable heat, requiring yet more energy production for air conditioning. How much change do we cope with? The "denier"-despised climate models do not agree on how much, how fast. No surprises there; since when have any models of anything complicated ever been perfectly accurate, in any field of endeavor? What they DO agree on, is that some level of this will happen, and within about a century or less. It seems to have already started. Sarcasm achieved C3=0, as would further explanation. Thank you for explaining the subtle but important differences between the measurement of the thing and the thing itself. For brevity, I'll not waste more electrons over my previous remarks or yours. 1. I believe that common surface temperature measurement apparatus lacks the precision required to detect +/-0.1C temperature deltas per decade if the accuracy of temperature observations is affected by a variable bias between +/-.2C and +/-.3C. It should be possible to quantify temperature changes with greater certainty if the precision of the temperature measurement is improved to reduce the effect of the bias through proper instrument calibration. I'm aware that given enough data series data or a great enough magnitude of change in the data series values, it's still possible to detect the changes. The issue I have is the accuracy of the observations. The combination of issues with the PRT, data logger electronic components, and siting issues described in "Sensor and Electronic Biases/Errors in Air Temperature Measurements in Common Weather Station Networks" should be addressed with equipment upgrades to MMTS and USCRN rather than statistical methods like PHA. I just advocated for more funding for this line of research, just in case you missed that. There are only 114 USCRN stations, so I think we could check and upgrade those. If for no other reason than to more accurately quantify the rate of change, what could it possibly hurt to have more accurate temperature observations by reducing the effect of the variable bias through enhanced precision? Measurements of the same set of measurands at multiple locations and/or at different times, even if individually traceable, will still not necessarily be directly comparable. Comparability is attained when two reported measurements differ solely due to any difference in the measurand, independently from the measurement techniques or instruments or siting. Even nominally identical equipment may have variations within and between production batches and different ageing drifts due to differential exposure to environmental conditions. The challenge is to create a diverse network within which comparability of measurements is ensured. The climate scientists asking for a global USCRN analog stated that identical PRT's and electronics from the same batch produce different bias as manufactured, as they drift with age, and from variability associated with siting. So I don't think the study performed that determined there were issues with the equipment was biased or looking to produce a specific result. Electronic sensors typically require repeated tests and recalibration. Maybe that's controversial to some, but not to me. None of the scientists asking for a GCRN are questioning any of the GHCN data, so no sacred cows are endangered. They just want a better system that doesn't require so much manual data manipulation, as I do, using a system similar to USCRN. If you know how someone can go about removing biases that simultaneously vary by temperature, measurement device and its age, and station siting, then I'm ready to learn. If not, then what could a calibration test and a new global reference network possibly hurt? Sonic thermometers were used to measure temperature changes at Antarctic research stations after existing improperly sited PRT's gave spurious warm readings that were as much as 8C to 10C higher than the actual temperature due to variable bias produced by winds and albedo. NASA uses sonic thermometers to measure temperature in their high altitude weather balloons, so why not check a few stations? A. I guess I interpret what I read and what I'm told by our scientists somewhat differently than you do. NASA's satellite temperature record reconstruction expert says the surface temperature record is more accurate than his satellite temperature record and then he explains why. At the very end of the video Dr. Mears was asked about how the data adjustments made and if those adjustments are a matter of "personal choices". His response was, "Right, and then I think there's considerable difference in interpretation of what the results mean." That seems to me as if he said that some of the adjustments and results come down to personal preference. I thought NASA's satellite record expert would have more confidence in their own data, but apparently not. Anyway, the satellite record measures layers of the atmosphere rather than surface temperatures and we still have surface records. I seem to recall NASA's Dr. Schmidt explaining that nobody performs calibration and site checks because that would cost more money and time than NASA or NOAA have to spend. I'd say they need more money, but that's just a personal opinion. The second paper, which I apologize for not providing the proper link to, says "our USCRN data is in good agreement with USHCN data after we homogenized the USHCN data, except that there's still an unexplainable temperature delta between the data sets that they think is related to the instruments since they have no other explanation and so few stations within 100 miles of a USCRN station that they had to go out 150 miles to make the comparison, which may be less accurate". Maybe I'm expecting too much. It's not that I believe the scientists are so ignorant that they're blissfully unaware of the possibility of errors from bias or of improper adjustment. It's that I want to know how in the world they can actually account for so many variable biases. It might be possible to minimize it, but I doubt it's possible to make it disappear. Should anyone be bothered with PRT and data logger calibration and periodic site visits to see what's going on at collection sites? We have homogenization, so we can find a USCRN station somewhere that agrees with USHCN, except when we can't, so it must be an instrument error. You're right, though. Since we had a lot of data of questionable quality, homogenization rather than improving the measurement apparatus was clearly the thing to do. I don't know what every last issue was regarding site quality or other technical issues, but apparently 90% of USHCN sites didn't meet the siting requirements of the organization collecting the data, which is what led to the creation of USCRN. When USCRN came online, we had further disagreement between USCRN and USHCN, so we homogenized some more. Nothing I say will ever have any validity, but the mere fact that USCRN exists seems to indicate that even some climate scientists were concerned about quality assurance. I still fail to see how want better measurements is questioning climate scientists themselves or their work, rather than questioning the same thing some of them obvious question, which would be the data. B. Nah, we can just put all of our thermometers at airports. I'm sure that won't exaggerate warming and cooling trends at all. Given that so many of the instruments in USHCN were determined to be incorrectly sited, I think it shows that every little thing we do affects temperature measurements. Some were just so egregious that they had to drop the stations, such as that station on the rooftop in Boston. As far as what the temperature readings were at correctly vs incorrectly sited thermometers, I don't trust any of that data, whether it shows warming or cooling or no change at all. Here's a thought. If an organization establishes a standard by which to measure temperature changes, then they're obliged to adhere to their own standards if their data is to be accepted as accurate without further questioning. That seems pretty fair and reasonable and likely to greatly assist with producing results of good quality. C. I call this section, "Why do the graphs keep changing over time? Are we learning new things or fiddling with data because it just doesn't look right?" The video basically shows slides of historical data sets produced by NOAA and NASA that show a pattern of interesting adjustments through time, wherein the past became selectively warmer or cooler to fit the present trend. There was no warming between 1895 and 1987, but now there's warming. The data was wrong before, but it's right now. After it finally showed warming, but now it shows more warming. Hansen put out a report in 1999 indicating there was no significant warming in the US in the past 50 years, but later he said the US is warming. Maybe there are perfectly reasonable explanations for these changes, but I'm trying to determine what those are. Were the past reports just mistakes that a reanalysis discovered? Was different data used? The warming in the 1930's and 1940's went away, the cooling trend from the late 1940's to the 1970's went away, and now it's just a continuous pattern of warming throughout the 20th century now that we use data homogenization. If we were just that far off in previous decades and went through a learning process, fine, but how do we know it's correct now? When are the 20th century data good enough to quit changing the data, or is this a continuous learning process from reanalysis? Obviously the models have improved over the decades as computing capabilities and model completeness has improved. I didn't take what Dr. McKitrick said at face value. I've no clue if he's mis-stating things, either, and don't judge credibility based upon whether or not something agrees with what I think. Do you think I find him more trustworthy than Dr. Schmidt merely because I think he may have a point regarding certain data manipulation techniques introducing errors? Anyway, Dr. Schmidt confirmed that the data source for GISS and Hadley CRU models is the same. Dr. Schmidt is of the exact same opinion as Hansen, so he's definitely not supportive of what Dr. McKitrick is attempting to prove, but he confirms that they both use the same data set. Dr. McKitrick said that NOAA also uses the same data and it would appear that they say they do. The only major ways that the GISS and CRU models seem to differ, according to Dr. Schmidt, is in how they handle missing data sets and some model parameters. I've no clue who's approach is better, but seem to recall having read somewhere that CRU's approach may be more accurate in some cases and that the GISS model was changed in some ways as a result. As far as my hypocrisy over homogenization is concerned, I believe Dr. McKitrick was attempting to refute some of the assertions of others such as Dr. Schmidt and did actual modeling work instead of just making assertions without modeling them. I didn't get the impression that he was for or against homogenization, just that he was able to show how improper data homogenization could produce spurious results. I mostly question why homogenization would be more accurate than integration. I presume that spurious results are undesirable, no matter what the results happen to be. Yes, I'm confused about whether or not people like Dr. Mears remove bias by personal preference, estimation, or actual measurement. Is a personal preference a guess or a gut feel or something else? No, it's not a point of semantics. When Dr. Mears says data adjustment is made by personal preference, please explain what scientific rigor is involved in personal preferences. If his personal preferences for data adjustments creates warming or cooling trends, how scientific do you consider the results to be? Thank you for correcting my definitionally and conceptually wrong use of guess, estimation, and measurement, but I adjusted my definitional and conceptual understanding by personal preference, much like Dr. Mears said he did with his data. I'm sure I'll receive another pedantic grammar school lecture. 2. I don't claim that data from different studies is the same data, the people performing the studies claim it is. Your argument over that point is with people like Dr. Schmidt, not me. When Dr. Schmidt says GISS and CRU operate off of what is essentially the same data with different adjustments and another scientist confirms that, then I'm going to take Dr. Schmidt at his word when he says they're using the same data. A database is the same thing as a data source when the database provides the data for two or more studies or models. If you're really going to attempt to claim it's not when the people performing the studies say that it is, then there's no point in arguing this because it is, as you put it, conceptually and definitionally incorrect. 3. Given that we don't seem to be very accurate at forecasting the weather more than a week or so out, I'm going to "guess", and I believe I have my terminology correct here unless you feel differently, that climate predictions projected out multiple decades into the future are likely to be less than spectacularly accurate. There have been all manner of wild predictions over the decades. Places like Manhattan were supposed to be underwater a decade ago. Before New Yorkers could drown, half of all Americans were supposed to be starving in the streets by the year 2000. Thankfully, none of that came to pass. In Post #15, I posted the opinion of the IPCC on climate modeling. If you believe that what the IPCC wrote in its own report on climate change to be a critique of climate change, then maybe it's worth consideration since it came from them and not me. I just came to the same conclusions they did before this issue became a political bludgeon to bash people over the head with for not engaging in the group-hysteria associated with climate change. If you think the IPCC's conclusions are wrong, then take it up with them. Maybe you can convince them to go back and alter any reports you disagree with. Which parts of what they wrote am I supposed to believe and which should I discard? When this all started, scientists were unaware of the fact that Earth had a third Van Allen belt. I just have to wonder at what else we'll discover in 10 or 20 years that we don't know today. Look, nobody had to invent a reason to convince me to use cleaner energy. I was onboard with that long before this new wave of end of the world nonsense started. I'm not sure why any of this had to be used to scare people. Those who could afford solar panels were putting them on their homes instead of buying power from a coal fired power plant when I was a kid. Most couldn't afford them and still can't. I was raised and live in Texas, where we're not generally known as supporters of the Sierra Club here, yet people who could count understood that making your own energy without burning anything was a good idea and still is. Short of aliens landing, the Russians starting WWIII, or the second coming of Christ, the Earth will be fine and so will humanity. People have shot themselves and their children over this. I don't find that funny in the least, so yes I will deride anyone I think contributes to mass hysteria. If someone yells "fire" in a crowded movie theater when there is no fire, they get arrested. The media and politicians do the equivalent, as it pertains to climate change, when there's obviously no imminent threat to human life or even most other forms of life, and half the country applauds. There's something basically wrong with that. Sometimes, I even question how well we know what we think we know, given that what science knows is constantly changing. Science isn't science based upon consensus, either, since science is not democratic. Science also relies upon testable hypotheses, which no amount of evidence could ever prove, generally speaking, but a single negative result could disprove what was previously thought to be true. Very little is settled in science. Science always welcomes constructive criticism, even if what is learned ends up refuting a previously widely believed hypothesis. Those who say they believe in climate change don't seem to support any questioning of the hypothesis at all. That smacks more of religion to me than science. I don't think the faithful would change their minds if we had another ice age in ten years. They'd still try to pin the changes on human CO2 emissions. At the end of the day, science give us lots of information, some of which is useful and some of which is of little utility. No response on 1 - 3, but as to 4. I simply disagree with the notion that the world is coming to an end. The idea that no climate changes have happened or will happen, anywhere or under any circumstances, seems equally absurd. I think that with present technology, a somewhat wetter and greener world doesn't equate to the end of the world. Humanity has survived far worse with far less technology than we have now. I support nuclear power because available alternative solutions are economically impractical and ultimately unsustainable. If construction of more fission reactors is not feasible, then I already know that any practical solar and wind combination that produces equivalent output requires more than two orders of magnitude more steel and concrete along with a gas turbine that's running 24/7 in the background because the most advanced ones simply can't cycle fast enough and any attempt to make them cycle any faster than they already do would only decrease service life and increase maintenance intervals and costs. Louis will no doubt argue this point endlessly, but no matter what I think about climate change, I already know full well how the solar + wind + gas turbine solution works. In real life the gas turbine never shuts off and in point of fact can seldom spool down significantly to consume less fuel, either. All you have to do is read the gas turbine spec sheets for simple, combined, or whatever cycle type you care to name off. Some machines spool up and spool down a little faster than others, but we're talking about tens of minutes to multiple hours. It's simply not a solution to climate change if human CO2 emissions are causing it, nor will it ever be. It's better than coal, but that's about all you can say about it. Furthermore, at any significant scale steel is generally made with coal or gas. To produce output equivalent to a GW-class fission reactor, you need more than 7 Ford Class aircraft carriers worth of steel and copper. We probably produce enough steel to deploy wind turbines at a global scale, but I'm not sure about the copper and magnets. Any attempt to use lighter metals like Aluminum and Magnesium is entirely out of the question. I know that for a fact. We simply do not make anywhere near enough light alloys per year. Steel production itself is far from clean and we'd need absolutely massive quantities to make that work. In case the point isn't clear, I'm not advocating for throwing away all the work and data already collected. We never do that in forecasting unless the data or results are just blatantly wrong and it's pretty obvious when that's the case. You haven't responded to post 54 in which I suggest you'd misplaced a decimal point - or, if you prefer, overestimated the cost of wind energy by a factor of 10. If you did then all your comparison comments are somewhat redundant. Also, when giving your calculations for resources used in delivering nuclear power, you completely ignore the human element. One nuclear reactor in the UK employs 10,000 people! That's a helluva a lot of people who have to be housed and otherwise resourced. If half of them travel to work and replace their car every 6 years that's about 3000 tonnes of mass just to get them to and from work. Just because they are humans doesn't mean you don't get to count their resources use, any more than if they were robots. That's before you get on to other resources like, growing the food that keeps them alive and so on. All these resources ultimately get reflected in cost, which is why nuclear power ends up being so expensive. Also, nuclear power depending on where it is cited can use up fresh water resources. Furthermore if there are 10,000 people employed at one nuclear site they must all be doing something...I wonder how many tonnes of resources flowing in and out of nuclear power stations every day? Probably tonnes of chemicals every day. And then there is the waste storage, again using up significant amounts of waste. I used to live close to where a train taking nuclear waste passed by on a regular baisis. The whole house used to shake in the middle of the night...suggesting those containers must be pretty heavy. A GW-class (1,250MWe) fission reactor produces around 10,000GWh per year. Some produce a bit more and some produce a bit less, but that's a prototypical yearly output for common PWR's. Watts Bar runs a pair of 1,160MWe reactors and employs 1,000 people now. I assume that's for both reactors since they run both at the same time. Do the British run nuclear reactors like the US Air Force runs an aircraft squadron? One guy holds the bolt, one guy holds the nut, one guy fetches the wrench, another guy turns the wrench, and the guy who fetched the wrench watches the guy turning the wrench? Is that why nuclear power is so absurdly expensive across the pond? I ask because we've had some Air Force and Army personnel on our ships before and we were puzzled over why it took so many people to do something as simple as running a radio. As much fun as it was watching the Chinese fire drill unfold, we still love our sister services so we fixed it for them after it was painfully clear that they weren't going to figure it out. On a ship we can't afford to feed the extra 9 mouths for six months, so we try to hire people who can walk, talk, and chew gum, all at the same time. That may be a novel concept, but it's been proven to work. I used the construction cost numbers from Germany's Merkur wind farm. It's an actual wind farm with a known price tag that's actually producing electricity for Germany. I'm going to take the Germans at their word that they're getting that much electricity per year because it correlates very well with the achievable capacity factor claimed by GE. In fact, it's a little better than 50%. Merkur cost $1.7B to build and produces 1,750GWh per year. Assuming a 25 year service life with no maintenance costs and no interest on the loan and no profit, that's $387,600,000/yr that the power company owes to the bank if the construction loan is paid off in yearly installments. With no profit, no loan interest, and no maintenance, that is the minimum electricity cost per MWh required to pay for the wind turbine farm over 25 years. In the real world, no company operates without profit, all banks charge interest on loans, and every sophisticated machine ever built requires at least some maintenance to continue operation. You previously posted a document citing 107 bids (may have that incorrect, but I thought that's what I read) for new wind projects in the UK and the median guaranteed price was $18.1/MWh, so that was the number I used. At £62/MWh, the payoff with no interest / profit / maintenance is exactly 12 years. I wasn't sure which numbers I was supposed to use, the Wikipedia numbers or the document you posted showing how cheap wind was, so I used the median price estimates for the proposed projects from the document. The German experience clearly indicates that Haliade performs a little better than what the manufacturer advertised. Assuming proper siting and roughly equivalent wind speeds in the North Sea, we should expect that a minimum guaranteed price per MWh to simply repay a no-interest construction loan for a GW-class wind farm to be around $38.86. There will be 377 wind turbines in this notional farm, each unit weighs 1,960t according to GE, which gives a combined weight of 738,920t. 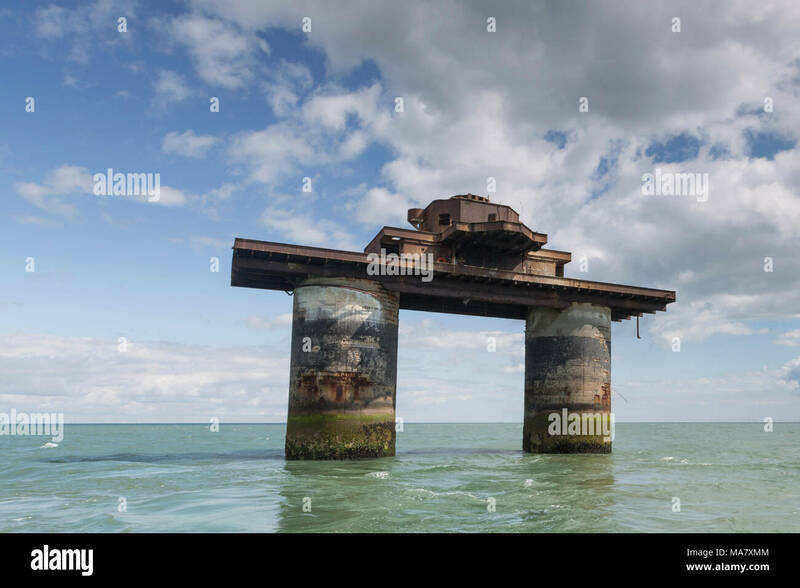 These are offshore units that require no steel reinforced concrete. Apart from the composite blades, which have a combined weight of around 60t, the rest is comparatively easily recyclable materials consisting of various steels, copper, and permanent magnets. Haliade has no gearbox, so there is no gearbox failure mode. The turbine is also canted slightly away from the tower to less the chance for a prop strike. However, it does use geared steering to point the turbine into the wind and has a geared final drive connected to the generator, much like the motor in a Tesla. With far fewer bearings and gears and shafts, direct torque transfer, and aero loads transferred directly into the tower, we should expect to see far fewer bearing and gearing failures because there are far fewer failure modes. Maintenance, we hope, will be relegated to periodic lubrication, the odd leading edge repair of a blade from wind erosion, it should be far enough out to sea to avoid most birds, and, of course, we'll need some basic corrosion detection and remediation which should be limited to repainting or epoxying. Although this farm provides the same output as the fission reactor when it's running at full capacity, it will only do so when the wind is blowing. As a result, we also need a hot gas turbine running 24/7 to pick up any production shortfalls when wind output falls off. If the plant has already been built, then great. If not, it'll have to be built. The seem to run between $400M and $600M in total cost here in America, but I've no clue what they cost in the UK. I'm sure GE or Siemens can supply a GW-class gas turbine for comparatively little money, somewhere between $100M and $150M. I suppose a solar farm could also be built, but it might double the cost if new grid interconnect infrastructure is required. I'm assuming there's already infrastructure built for the coastal wind turbines. So that was for 1 reactor. The UK receives approximately 25% of its electricity from nuclear power. If we wanted to shut down all the reactors, then we'd need roughly 7.625 times the number of wind turbines (2,875 machines) and, of course, more gas turbines. It looks doable for the UK, though. The factory's blade making capacity might be a bit of a problem, though. They can only make 300 blades per year, so it'd take 28.75 years to make enough blades. I figure Siemens has around the same capacity, so 14 years? No single company could do this in less than a few decades, so I presume a mix of similar onshore and offshore systems. I dunno, Louis. We're gonna need a lot more people who know how to fabricate composites and we can't really steal from the commercial and military aircraft or boat building industries. There's not enough bodies. I think we need some robots, but the layups are just way bigger than anything done with a robot and we need moveable molds and autoclaves bigger than anything that Boeing has and their autoclave is huge. We have to use carbon and foam, though. I don't think there's enough Balsa in the world and the blades would be way too heavy if we made them with S-glass and Balsa. The higher output of Haliade-X would make this easier, but we'd be training a standing army to do this. Anyway, I have to run. I'll edit or post more later. You seemed to start out by claiming nuclear power was much cheaper than wind energy. You seem to have fallen silent on that claim. Is that still your view? Yes, people are involved in wind energy, of course, but nowhere near as many as in the nuclear power industry. Have you got a link to the 1960 tons figure? It's way more than I would expect, but perhaps these turbines are in deep water. Please quote the posts as shown above. We don't need to parrot posts back to each other. I presume we both know what we posted. My claim about nuclear energy being the most cost effective still stands. I can and do make mistakes, although I try not to, but will happily correct anything that I misstated, misquoted, misrepresented, or just plain got wrong. To my knowledge, wind farms only produce electricity when the wind is blowing. If the wind isn't blowing, then no electricity generated, no matter how much electricity a wind farm is capable of producing. The end result is that a backup gas turbine or coal fired generating station is required. I'm not knocking anyone for doing that, merely noting that it's necessary to keep the gas turbine or coal fired boiler hot. The gas turbines take at least an hour or two to spool up and spool down without damage. A power generation gas turbine is not like the jet engines in commercial aircraft, even though some of them are based on the same core design. In practice, that means that the gas turbine is running hot (at significant power levels), not cold (shut down), nor even warm (idling) 24/7. You're burning a lot of gas to replicate output capability to deal with wind variability. It'd be a lot cheaper to just run the gas turbine 24/7. So, why not just run the gas turbine 24/7 instead of building wind farms? If this is purely about the cost of electricity, then the gas turbine winds that argument over coal, nuclear, wind, and solar every single time. It's far less expensive than any competing technology by a lot. I will assert that if a city runs out of power, no matter the reason, then the associated economic losses quickly surpass any benefits of choosing one technology over another simply because you like it or think it's cheap. It just so happens that nuclear power is pretty good at producing stable output more than 90% of the time, or at least the reactors we run here in the US are. In the UK, who knows. Previously you claimed that a nuclear reactor employs 10,000 people, but that's obviously not true. A simple Google search indicated your claim about a nuclear reactor employing 10,000 people is fictitious in nature. You either misunderstood how many people are employed at a nuclear generating station or you deliberately inflated your numbers to try to show something that's not accurate. There are 15 nuclear generating stations in the UK. According to your own press, the entire UK nuclear power industry employs 67,000 people. They're looking to add 40,000 more. If we add those two numbers together and no new nuclear reactors are built, then we still can't arrive at 10,000 per generating station. The UK "renewables" power industry employs 126,000 people. Please don't tell me that those 126,000 who work in solar and wind fly to work on their magic carpets. Sellafield employs around 10,000 people because it's a sprawling complex involved in the reprocessing and enrichment of Uranium for most of Europe, along with cleaning up all the radioactive waste from the UK's nuclear weapons program. It turns out that nuclear weapons are really expensive and manpower intensive if you're careless about how the waste is initially disposed of. The US government discovered the exact same thing as their contractors worked to clean up Hanford. Blaming the nuclear power industry for doing what the military asked it to do many decades ago is disingenuous. Despite the fact that here in the US we run 100+ reactors that supply around 20% of America's energy, the nuclear power sector employs around 8% of our workers. How do you manage to employ nearly as many people in your nuclear energy as we do? In the UK, are your nuclear landscaping engineers counted as nuclear power generation employees if they cut the grass within sight of a nuclear generating station? I think my claim is aptly illustrated by the employment numbers. Wages, salaries, and benefits are always a substantial component of total cost. Nuclear employs just shy of 77K. Solar and wind employs just shy of 362K to as many as 475K. Since the total head count was claimed as a problem with nuclear power before, even though it's blatantly obvious that it's less, you're not going to turn around and claim that employing more people is a good thing now that the facts are in, are you? Apologies on the 1,960t figure. Maybe that was for the Block Island test installation rig. I took that figure from a YouTube video, but can't easily reproduce the source because I have so many links on Haliade. The extra 400t figure must have been the jacket mass for a short jacket in the shallow water off Block Island or something like that. I believe the tower / mast plus nacelle plus turbine blades is around 1,500t. That's very easy to find, just Google "Haliade 150-6MW weight" and you'll find it. I already posted a video with individual Haliade component weights where they show the components being loaded onto a transport ship and show the tonnage of each component being loaded onto the ship. There are 3-4 mast sections, the nacelle, and the blades. The jacket and piling are delivered separately and are extra tonnage. I was off on my estimate of how much materials are needed to produce 10,000GWh/yr using wind turbines, though. It's more than I thought it was, which I suppose shouldn't be surprising. The monopile structure that anchors each Haliade 150-6MW to the seabed weighs between 703t to 970t, dependent upon length. The total mass for each Haliade 150-6MW is likely more than what I originally quoted as a result. The total power cabling mass for the array is 2,658t, unless that's just the cabling mass per string. I clearly got that wrong. Again, apologies. I thought each blade weighed 20t, but it's 26t per blade. The lighter and slightly longer B75 blade, which may be interchangeable on Haliade (don't quote me on that, but I think that's what was stated) weighs 25t. Merkur may be using the German-built B75 since it's their array, which could partially explain why capacity factor was above the claimed 50% (greater swept area). If you're wondering why all this stuff is so heavy, it's just physics. According to the link below, there's supposedly 200t of force pushing on the blades, given a 10m/s wind velocity. Frankly, it's a little amazing that the things can stay upright as well as they do with that much force and its mechanical advantage (pushing on the very top of the mast) constantly trying to knock them over. There's a better / cheaper / faster way to generate the same amount of power from the wind with a mass reduction of more than two orders of magnitude. You're not making a very good argument for affordable wind power technology, so I'm going to do that for you in my next post. The technology I'll post about has the potential to be vastly cheaper than a prototypical wind turbine farm, supplanting both wind turbine farms and nuclear reactors. We have one natural resource on this planet that never stops producing. It's called gravity. When gravity is combined with wind turbines attached to an aircraft, achievable power output levels for a given vehicle mass can be truly spectacular. Physics need not be repealed to make this concept work quite well. I've decided to try to make a much better economic argument in favor of wind power. You said you believe that the cost of wind turbines will fall substantially, but never specified how. I know you believe that these gigantic skyscraper-like stationary wind turbines are much cheaper than they actually are or will become so in the near future, but at significant scale the manufacturability of such outsized machines and the total consumption of resources actually matters. Furthermore, random numbers pertaining to cost, without cost structure breakdown, are virtually meaningless. It's like saying a car cost $20K. Ok, but which one? What features does it have? Can it last 5 years? How much Unobtanium is required to produce it? That said, there are very feasible near term developments in other directions could dramatically alter the wind power market. Makani Power's airborne wind turbine concept brings total cost and resource consumption back into the realm of economic feasibility and affordability without massive government subsidies. All current wind farms receive substantial government subsidies. If market forces dictated that wind turbines were the most economic solution available, then we'd see an explosion of wind turbine projects. However, we only seem to obtain more wind projects whenever substantial government subsidies are available or as a result of artificial market forces from environmental legislation. The most plausible explanation is that incurred manufacturing and operating expenses outweigh potential profits, making construction of large wind farms economically infeasible without subsidy. I've been watching Makani Power for awhile now and I thought you'd bring them up by now, but you didn't, so I will. Their solution to the problem of the inverse relationship between the size of the airfoil and the size of the generator required to extract a given amount of power from the wind at a given wind velocity is both elegant and vastly more efficient and cost effective than a static ground-based wind turbine could ever be, in terms of total system mass and size for a given level of output. Their tethered airborne wind turbine concept seems to solve a lot of fundamental problems that building larger ground-based wind turbines doesn't solve. Though an electric drone aircraft is involved, even with all the paperwork and testing that certification requires, I still can't think of a way to make their solution cost nearly as much as a conventional wind turbines or be so complicated to actually build. Since this vehicle doesn't have to withstand acceleration loads that would rip the wings off a fighter jet, as wind turbines do, nor remain fixed in place with hundreds of tons of force applied to it, as wind turbine towers do, it can be much lighter and cheaper. In point of fact, all the individual parts are so small and light that robots could fabricate them on an assembly line. There are a number of ways to make their vehicle smaller / lighter / more aerodynamically efficient / faster to fabricate with lower total parts count and unique parts count than it already is, but M600 is already 150 times more mass efficient than GE's Haliade 150-6MW. Makani's vehicle can also produce power most of the time by trading altitude for airspeed, even when there's little to no wind, and in most weather conditions. That's something that no conventional ground-based wind turbine can do. Makani's working 600kWe airborne wind turbine prototype has been in testing for awhile now. The mass of the aircraft is 1,050kg (CF spars and fuselage w/ E-glass wings). The mass of the tether is 250kg (pultruded CF w/ Al-alloy conductor). Their proposed 5MW offshore model would weigh 9,900kg (same construction materials and tether materials) and use a 3,660kg tether. Recall that Haliade 150-6MW weighs 1,960t. The 5MW model's mass efficiency is slightly lower, but still more than 144 times that of Haliade 150. Put another way, for the same mass of materials, which are mostly just CF composites and conductor wires instead of support structure, the Makani solution produces 722MW of power for every 6MW of power that Haliade can produce. If the Al-alloy conductor was replaced with Nanocomp's Miralon CNT yarn, it'd weigh 1/3rd or less of what the conventional Aluminum conductor weighs. Masses were already provided, but it should be noted that many hundreds of thousands of tons of energy-intensive steel and concrete production per GW of installed capacity are not required or can be used as construction materials in buildings or ships instead of wind turbines. The parts are not so large that entirely new tooling and fabrication facilities are required. Haliade-X is so large that land transport is not feasible. These things are so small and light by way of comparison that transport via truck is trivial. The existing wind turbines have become so large that specialized trucks and ships with high capacity cranes are required. No roads have to be shut down to transport Makani's drones to a transport ship for delivery. The circular flight path area of the 5MW class vehicle is 2km in diameter. However, to balance potential loads on the power distribution platform that the tether is connected to, multiple vehicles could fly in a circle, trading altitude and airspeed in an alternating sequence to obtain or make electrical power. Multiple vehicles would both power each other to gain altitude and then generate power to deliver to the grid. The result would be continuous output with minor amounts of power consumed to cover altitude losses during generation runs when the drone is perpendicular to the wind. This concept could also prevent imparting high unbalanced loads to one side of the tether / power transfer spindle. If required, the tether platform's position at sea could be adjusted or maintained by the drones gently tugging on their power transfer tethers to maintain station. I call this the self-positioning concept. It probably won't be used to tow the generating station out to sea, but in theory it would work. An advanced version of this concept would have drones operating at multiple altitude bands to both improve power density of the total solution and to take advantage of winds at higher altitude to deliver more continuous power. I call this the 3D power concept. The drones already have triple-redundant flight computers, just like a fighter jet. Drones that experience a mechanical failure are not automatically doomed to crash because they have at least 8 motor-generators onboard to provide backup power. If the X-wing or E-wing airframe layout was employed, then there are also fully redundant flight control surfaces so even a failure of a flight control actuator won't automatically result in a crash. If anything does cause the drone to crash, then pieces of the drone are relatively light, whereas pieces of a wind turbine blade can weigh more than a truck, and thus won't be tossed a mile downrange. This is an actual problem for ground-based wind turbines if the blade fails and you can stick a fork in whatever it hits, because it's done. There's no such thing as moving a conventional wind turbine once it's emplaced. It's just way too big and not designed for ease of transport. A small number of trucks could take Makani's drones and distribution equipment to a natural disaster area. If the drones fly higher, then less clearance area on the ground isn't an insurmountable problem. Solar panels require enough space on the ground to erect them and construction crews. The gas turbines, though compact, require a constant source of fuel which will probably be difficult to obtain. The drones are different. A convoy of specialized off-road Tesla semis could take the drones and base station to locations affected by hurricanes or tornados. A fuel cell could also work well in these situations, but again, you have to obtain the fuel from somewhere or it won't run. If the fuel cell or gas turbines suffers a mechanical failure, then you're just SOL without a replacement on hand. There's never a shortage of gravity and the drones have highly redundant power generation capabilities, so the drones should work almost anywhere there's air and gravity. If we run out of those things here on Earth, then I figure we're screwed anyway. 1. Because the next generation turbines can reuse the exist towers, foundations, track and cable connections (or at least pylon structures). These are a substantial part of the cost of a wind turbine system. 2. Because there will be further technical innovation of the type that has already reduced the cost of wind energy. Not necessarily size but possibly in terms of blade design, turbine operation and ability to operate in higher or lower speed winds. 3. Through energy storage techniques - most probably chemical battery storage - meaning that wind energy can supply the grid with less intermittency. This is already happening. There are "any number of ways to skin a cat" as we know with things like car finance but the bottom line always is how much does your car cost you over the lifetime of the car, or the length of time you are going to own it (including fuel, maintenance and so on). So your attempt to reconstruct a pricing structure from incomplete information is bound to fail. The LCOE cost comparisons do not include government subsidies for the energy type - although obviously sometimes it's difficult to uncover subsidies (like the hidden insurance subsidy to the nuclear power industry which of course is off the scale or subsidies given by states and cities encouraging people to do things in their area - there are lots of EU subsidies of that nature). Wind energy is expanding all over the world. The UK government has stopped providing subsidies for onshore wind but onshore wind energy is still expanding. "In a recent study, nonprofit group the Energy & Climate Intelligence Unit found that power from 1 GW of new-build onshore windfarms would cost £30m ($41m) less per year than power from new-build offshore wind capacity. Onshore wind power would cost £100m less than power from new nuclear or biomass plants, the study said, and can be built at a cost of below £50/MWh – cheaper than the forecast £66/MWh for gas-fired power. " Presumaby you'll ignore that quote as well. All current wind farms receive substantial government subsidies. If market forces dictated that wind turbines were the most economic solution available, then we'd see an explosion of wind turbine projects. However, we only seem to obtain more wind projects whenever substantial government subsidies are available or as a result of artificial market forces from environmental legislation. The most plausible explanation is that incurred manufacturing and operating expenses outweigh potential profits, making construction of large wind farms economically infeasible without subsidy. Yes, I'm aware of the potential for air borne wind generation. The US Armed Forces already use airborne "blimps" with turbines attached to generate electricity and I've seen the kites before. I doubt they will provide a long term solution. It doesn't feel right to me. I'm not an engineer but I don't see how you could scale up those kites to be big energy producers. They might have some limited application. The more mass you put up in the air, the more chances of catastrophe on the ground. I'm not really liking it. Once again you are going down the rabbit hole of mass efficiency...who cares? The tethered kites will require lots of maintenance, lots of human monitoring, lots of decisions about when to bring back to Earth (when the hurricane comes, where are you going to house them all?). If tethered out to sea, they you have the problem of storms and hurricanes at sea . Also, if you bring them down, where are they going to be housed? How is maintenance delivered? At sea? Expensive! I've been watching Makani Power for awhile now and I thought you'd bring them up by now, but you didn't, so I will. I would like to see the design basis used for the gas powered stations costed at £ 66/Mw hr. A large, modern gas turbine plant with exhaust gas fired boiler and steam turbines can achieve previously unheard of efficiencies, so long as they have a high load, and often can be fired on distillate fuel in the event of a gas interruption. Gas turbines are very inefficient at part load, in thermal efficiency terms, however and all thermal stations except nuclear are poor as rolling/hot standbys Nuclear stations are only good as standby capacity because their fuel is cheap and most of their costs (in building and decommissioning them) are load independent. Economics force Nuclear to be used for baseload to justify the huge, up front costs. Standby for nuclear? Never hear of that. One nuclear power station in the UK employs 10,000 people, a huge number. That would be like having them standing around doing nothing. I have always read that nuclear is good at providing secure baseload 24/7. I think I have seen lower figures for gas turbines but it might depend where they are sited possibly and land costs in the UK can be high (but land costs tend to be low where wind turbines are sited). What figure do you have? 1. If the turbine's output is the same as what was previously installed and the base wasn't already cracked from the force exerted on it, then maybe the base can be reused. Concrete degrades just like every other building material. All the skyscrapers in the world continue to remain vertical as a function of foundation maintenance. 2. The blade designs are already optimized. The only other optimizations possible that would provide significant improvement in performance involve weight reduction, which won't make them any stronger and more durable, just stiffer for a given weight. That's certainly possible to do, but only with increased cost. The only way to change the cut-in speed is to vary the size of A (the alternator / generator) or T (the turbine blades). Why do you think wind turbine manufacturers keep increasing the size of these things? Why do you imagine it is that the trend is towards larger, rather than smaller turbines? 3. There are no grid scale batteries. None. It's a fictional futuristic technology you keep bringing up. I can collect a bunch of car batteries and connect them to the grid, yet that doesn't make them grid storage anymore than putting a jet engine in a car makes it a jet powered vehicle. A jet-powered vehicle has enough gas to make it to the end of a drag strip. After that, it's fuel tank is empty and it's an absurdly expensive paperweight. If the cost of current Lithium-ion batteries was zero, then any "grid storage device" based upon Lithium-ion doesn't come close to competing with any other technology on cost. Your wind turbine "car" will cost as much as it does to construct it now and in another 25 years it'll cost even more to build entirely new ones as the old ones fail. Metal fatigue and stress-corrosion cracking are not imaginary phenomena, steel and copper oxidize, magnets eventually de-magnetize, and the blades are subject to extreme acceleration loads that no other flying vehicle in the world is subjected to with the expectation that it'll survive more than a few seconds, yet the wind turbine blades have to do that for 25 years. These new Haliade-X blades will be subjected to the same acceleration loads as the most maneuverable IR-guided air-to-air missiles in the world for years. It would seem that your own government also has a mixed opinion about the right direction to go in. "We do not believe that more large-scale onshore wind power is right for England," a spokesman for the Department of Business, Energy & Industrial Strategy said in an email. "We’re committed to supporting the development of onshore wind projects in the remote islands of Scotland and will set out further details shortly." The path to a net zero power supply sees continued investment in renewable and nuclear energy, and in new technologies such as batteries. To use your own words, presumably you'll ignore that quote as well. Regarding the drones, you're already putting far more mass in the air with the wind turbine blades for less output. The blades on Haliade 150-6MW weigh a minimum of 25t each. If you're concerned about mass in the air, the drones are clearly far lower mass for the same output levels. Anything moving through the air is in the air. Seriously. People who care about production cost, maintenance cost, and replacement cost care about mass and production efficiency. In mass manufacturing of commodity products, less material usage and simpler / faster fabrication techniques result in lower costs, less waste, less energy usage, and greater return on investment. That's why BMW's electric cars are now being made with carbon fiber chassis and plastic snap-on panels. The cost of repair and replacement is lower because the repairs are faster and much simpler and easier, to the point that someone completely unskilled in car body repair work can replace damaged panels in minutes. In a hurricane, where do you store wind turbines? Do you have many hurricanes in the North Sea? If you do have problems with hurricanes, do they never make landfall? In a hurricane or squall, the US Navy routinely puts its ships, especially aircraft carriers, out to sea. The most dangerous place to have a ship in a hurricane is in port. Interestingly, we also fly our C-130 research aircraft through hurricanes at every opportunity presented. If it was a major problem, then it's odd that we do it deliberately whenever the chance to do so is presented. Maintenance is already performed at sea on all ships, oil platforms, and offshore wind turbines. When we say "at sea", we really mean a 30 minute transit by boat. In what world where a 5MW output drone that weighs 10t can a wind turbine with individual blades that weigh 25t, construct of the exact same materials, can maintenance costs ever be equivalent? That's like saying, I have this 747 over here with lower per flight hour maintenance costs than the Cessna 172 sitting next to it. It's so absurd that no one who isn't ideologically motivated would ever believe it. I've never quite understood the religious aspects that seem to be part of these new power technologies. Then again, from about the age of 5 or so, I thought all religion was a bit perplexing. If total cost, resource usage, manufacturability, durability, flexibility, and scalability all don't matter, then building more wind turbines make perfect sense. I suppose I should simply expect such non-sequitur thinking as the new reality, where what actually happens doesn't really matter, as long as it agrees with the ideology of the religiously-motivated. One nuclear power station in the UK employs 10,000 people, a huge number. A nuclear generating station, even one in the UK, doesn't employ 10,000 people. That falsehood has already been pointed out to you. Repeating the lie won't confer any association with reality. The entire UK nuclear industry employs 67,000 people and the UK has 15 operational nuclear generating stations. That was something of an error on my part as it is no longer a nuclear power station site. It is a nuclear fuel processing and decommissioning site. But there are 10,000 people working there in what is basically part of the global nuclear power industry - they are part of the overall cost structure of nuclear power. So my figure was right but misleading in context. An average of 4000 plus per station is still a lot of people (especially as many will be relatively highly paid). Roman concrete has helped the Coloseum survive for 2000 years. 2. There might only be minor savings from technical innovation but they are still there to be had and that includes in cheaper manufacturing processes. Sizing up will help. Obviously as we go forward, the proportion of turbines that are 5MW plus will increase. 3. I don't know what you mean by "grid scale". There are never going to be 3 day 100% grid power chemical batteries, true. But each country will find its own configuration that works. If you can get wind or more likely solar below $10 a MwH then you have lots more money left over to provide the storage solutions. A future set up in the UK might involve 3 day cover for an 80% reduction in solar and wind energy, where solar and wind provide perhaps 75% of overall power. So you'd be looking to replace 60% of your normal grid power. Maximum demand is about 60 GW. So you'd be looking to provide 60% of that over 3 days, so 36 GWs average constant. Maybe 5 GWs from grid chemical battery storage. This wouldn't be produced all at once. We'd build up to it gradually over 20 years or more. Maybe 3 GWs from ramping up energy from waste generation. Maybe 1.5 GWs from hydro. Maybe 3 GWs imported from other countries - e.g. Norway, Iceland. Maybe 8 GWs from methane generation. (This would be methane produced from air and water using solar and wind in times of surplus, so renewable). Maybe 7 GWs from drawing on electric car batteries (owners would be highly incentivised to do so). Maybe 1.5 GWs from domestic users who have a powerwall or similar (again incentivised to do so). Maybe 2 GWs from ramping up generation at biofuel stations. I don't think there's anything religious about liking green energy. It's a relatively clean energy source that is less likely to cause wars, and makes us pretty energy independent, with lots of domestic jobs. It's flexible. It can help a lot of poor countries lift their people out of poverty. If there hadn't been hippies dreaming about green energy 50 years ago, we'd probably be 20 years behind in development. Sometimes you need dreamers to make things happen in the real world. According to the US Government's report about employment in the energy sector that I already posted a link to, there are 76,771 employees involved in US nuclear power generation. As of right now, there are currently 98 operational reactors in the US, only 60 of which are devoted to commercial electric power generation, with 2 new units under construction according to the EIA. 36 nuclear power plants have 2 or more reactors per site. The 60 reactors in commercial operation generate 20% of our CO2-free energy supply. All the sprawling wind and solar farms in the US account for 2% of our CO2-free electricity generation. The nearly half million people involved in wind and solar energy have created a monstrosity to please fake environmentalists (anti-humanists) that produces just 10% of the output of 60 reactors. Cold hard facts for people who have agendas other than CO2 emissions reduction to prevent anthropogenic global warming. Yes, I find that utterly ridiculous. To produce another 10% of the output of the fission reactors in any reasonable amount of time, it'd take another half million workers, and who knows how much in the way of natural resources, because the solar panels and wind turbines clearly don't install or run themselves. Addition, subtraction, multiplication, and division are not "dark arts" that the nuclear power industry uses to confuse you about which energy sources generate the most output for the least input. If all inputs and outputs are tabulated, nuclear power is the cleanest and cheapest form of power generation that mankind has ever produced. Small advances in nuclear energy through the use of Terra Power's TWR (Traveling Wave Reactor) would permit us to consume all the radioactive waste from Uranium mining (natural and depleted) already generated to effectively cease Uranium and Thorium mining operations for the next few centuries to perhaps a thousand years while providing enough electricity to power humanity. That waste can sit around and cost money, which is the only thing it does right now, or it could power humanity into the foreseeable future without burning any fossil fuels to generate electricity for longer than anyone alive today will live. If fake environmentalists from the Granola State (California - land of fruits, nuts, and flakes) had not run a successful PR campaign to ruin the nuclear power industry in the 1960's and 1970's, no youngster alive in the US today would know what a coal fired or natural gas power plant even was. It'd be an anachronism from a bygone era. They're still at it. Scarcity is a myth perpetuated by anti-humanists who hate their fellow humans. Louis is dead wrong about one thing. If there hadn't been hippies "dreaming of green energy" 50 years ago, then there would be no burning of coal and natural gas today. The people he credits with producing "green energy" (energy that costs a lot of green and delivers a lot of brown) are the people who are directly to blame for drastically increasing the rate of anthropogenic global warming, presuming it's a phenomenon that actually requires remediation. They did everything they possibly could to prevent humanity from having clean, abundant, CO2-free energy before I was even born. They're still at it. Why it is that anyone would ever listen to their utter nonsense today is totally beyond me. Louis also thought employment of lots of people was a bad thing when it came to nuclear power, but asserted that "lots of jobs that green energy creates" is a good thing in the very next post. The amount of circular logic that these people have to use to justify the absurd levels of resource consumption, waste, and lack of significant progress is truly stunning. Their dogmatic devotion to something that only works poorly, if at all, is clearly religious in nature. They're still at it. Louis asserts that the world needs dreamers to make things happen. I assert that the world desperately needs people who can add, subtract, multiply, divide, and spot a scam from a mile away. If everyone who believes in "green energy" removes their blinders and takes stock of what "green energy" has actually delivered, given the utterly insane level of continuous investment from the entire world, versus what nuclear energy technology developed 30 years before I was born continues to deliver every single day that we're intelligent enough to use it, we'll continue to burn money on every new green energy scam that the next dreamer can dream up. There's never a shortage of people who dream of taking your money for very little of significant value in return, but whether or not you give it to them is your own choice to make. These people will always be at it. Domestic employment is good for the domestic economy. But so is cheap energy. And even more so cheap clean energy. The best solution is domestic energy that produces lots of good quality jobs in your own economy but is cheap. Even advanced nuclear is still very expensive. Costs are going down but not as fast as for solar and wind energy. There is no country in the world that has put all its eggs in one nuclear basket and Japan who probably came closest had cause to regret doing so. You write as though we are at the end of the energy story but we are not. We are in the middle of a dynamic process that is making green energy, and energy storage, cheaper and cheaper. Virtually all professional analysts that I have read suggest that we will cross the tipping point (the tipping point being where green energy plus storage is cheaper than any other energy source) in the next 15-30 years. You don't have to agree with them, but you don't even acknowledge that's what they are saying, which is kind of frustrating. I think the anti-nuclear crowd are ideologically-motivated. If nuclear power employs a lot of people, then that's bad for the economy. If renewables employs a lot of people, then that's good for the economy. That makes no sense without ideology coming into play. As I said before, this is religion to its adherents. Any of us who don't worship at the altar of wind and solar are blasphemers. I'm simply not capable of deciphering the logic behind their belief system because I don't subscribe to any particular religion and never have. Moreover, none of them can seem to explain their religion in a logically consistent manner. Unfortunately for me, magical thinking has never been my forte. Louis throws out a quote from ECIU, then I throw out another quote from the same ECIU that encourages further investment in nuclear power and he has nothing to say about it. It appears to me that sound logic has taken a back seat to ideology based upon deceptive sales tactics used by people who I consider to be less than scrupulous, given their statements about their desire to ensure that energy remains a scarce resource for humanity. I don't blame magical thinkers for buying into the current en-vogue group-think, but I do blame the wind and solar power industries for deliberately misleading others. I'm agnostic on what we ultimately use, but I demand a source that provides grid stability at least 99% of the time. Right now, onshore wind and solar can't provide that without keeping a gas turbine running 24/7, which defeats the entire purpose of building wind and solar farms. If you have to have a gas turbine at operating temperature 100% of the time, then you should just run a gas turbine. Since all the electricity flows through the same wires, the only way to make the grid truly resilient is to encourage local generation using technologies like roof mounted solar panels. The construction of thousands of megastructures with limited service lives does less than nothing for grid resiliency and generally takes money from initiatives that could provide grid resiliency and self-reliance. The grid is still every bit as fragile as it ever was. If giant wind and solar farms are the only sources available, as our "green energy" advocates clearly want, then it also becomes unreliable, or unpredictable at the very least without gas backup. It's just another boondoggle that burns gas or coal even when there's no demand for additional electricity. Despite being famous for touting the idea that the rich don’t pay their fair share of taxes, investor Warren Buffet seems to be perfectly fine with receiving tax breaks for making investments in Big Wind. "I will do anything that is basically covered by the law to reduce Berkshire's tax rate," Buffet told an audience in Omaha, Nebraska recently. "For example, on wind energy, we get a tax credit if we build a lot of wind farms. That's the only reason to build them. They don't make sense without the tax credit." Berkshire and MidAmerican will receive more money from tax credits (subsidies that consumers pay for) than profits from electricity production. If there were no perverse economic incentives, we'd have no wind farms to make electricity more expensive nor ethanol in the gasoline to reduce gas mileage and make gasoline more expensive. They're busily building wind farms in places that have no increase in demand for electricity because they make money off of the subsidies. I fully support subsidies for power innovators, like Makani Power and Kite Power Systems, but for the most part they get their money from private investors. Germany's BET states that maintenance cost is €0.014/kWh / €14/MWh / €14,000/GWh for brand new wind turbines, so a 10,000GWh array has an annual maintenance cost of €140M when new. Over 20 years, that's another €2.8B. As the turbines age, maintenance costs go up from there to €0.024/kWh / €24/MWh / €24,000/GWh around the 8 to 11 year mark. Figure €1.4B for the first 10 years of operation, followed by €2.4B. That's an extra $3.8B added to a $9.69B. Now we're up to nearly triple the purchase price for a GW-class reactor. At some point, you have to call a spade a spade. The lifetime costs of any GW-class reactor in existence are NOT triple the cost for purchase and maintenance of an equivalent wind farm. When Warren Buffett said that the only reason to construct wind farms was government subsidies, he wasn't lying. One will quickly note that World Nuclear Association doesn't throw out numbers showing that nuclear power is currently as cheap or cheaper than coal and gas because that would be lying. Gas remains the cheapest form of energy production. Oddly enough, the wind and solar industries take no issue with making such a claim, despite the fact that such claims are unequivocally false. Any nuclear reactor that burns nuclear waste as fuel has a functionally limitless source of fuel that's essentially free, as the TWR concept from Terra Power does, is a cheap cash cow for the operator, manufacturer, government, and public. Current water-based reactors are the size of large buildings. The core size of a GW-class (1,250MWe) liquid-metal cooled TWR would be approximately 1.5m in diameter, assuming a 45% conversion efficiency. In other words, the core can be fabricated in a factory and transported to the construction site, much like every other piece of machinery. If the secondary loop used SCO2, then the reactor, containment building, and power generation equipment would fit inside a 2 story house. The reactor would operate for 75 to 100 years on nuclear waste. I kept talking about offshore wind farms because they keep meeting or beating their yearly production targets and show relatively consistent output. Meanwhile, onshore wind continues to be highly variable (the ones that Berkshire invested in are idle 66% of the time) in nature and not the sort of thing I would bet lives and economic prosperity on. I suppose that if it's possible to make the offshore wind turbines large enough or to use more intelligent solutions such as the airborne wind turbines, which in theory have a near 100% capacity factor, then there's enough wind to provide reliable base load power. The holy grail of wind technology is drones in the jet stream. That provides functionally limitless power, just like a nuclear reactor, thus my argument that the smart people at Makani Power and Kite Power Systems are onto something. The new 12MW Haliade-X machines can provide about 67GWh/yr/turbine, meaning 149 Haliade-X provide the same output as 377 of the Haliade 150-6MW. Each blade of Haliade-X will weigh 50t. I've no clue about how much the entire unit is expected to weigh, but if the rotating mass of the blades is 150t vs 75t, then it's logical that it requires at least double the structural mass to support it. For each 10,000GWh of power, that's 596,000t, which is a step in the right direction. However, it's not enough. That's still an absurd amount of steel and copper and composite for a 12MW output wind turbine. The blades of Haliade-X are 107m in length. There's no way to construct blades longer than 120m using known materials and fabrication techniques, so stationary wind turbines are nearly tapped out. Louis isn't worried about individual wind turbine blades that weigh almost as much as fully loaded 737's flying just a few tens of meters above his head, but he's worried about a drone that weighs 10,000kg flying a kilometer or more or a kite that weighs less than 500kg flying several kilometers or more above the ground? What he thinks is dangerous versus what is actually dangerous significantly diverges from reality. If either the drone or kite loses power, it can actually fly to the ground in a controlled manner. A wind turbine blade that snaps has zero control over where it ends up. He asked about where a drone or kite would be stored in a hurricane, apparently ignorant that both the drones and kites make power by flying at the speed of hurricane force winds, which is how so little mass in the air makes so much power. The idea that the kite (a parachute that can control where it goes) costs more than a wind turbine blade is just laughable. The kite is connected to a line, the line to a winch, the winch to a hydraulic accumulator and generator, and flying two or more kites creates continuous power output 100% of the time. The drones do donuts in the air, just like a wind turbine blade but at a tiny fraction of the weight, the kites make figure eights in the air. Even Bill Gates, of Terra Power nuclear reactor fame, thinks these systems have the potential to power humanity into the future. There have been a lot of suggestions that base load power isn't required, but anyone with a modicum of rational thinking should know that any such assertion is patently false in nature. The grid requires stable output and there are 4 technologies that do that today- coal, gas, nuclear, and solar thermal. Solar panels have great potential if combined with Hydrogen or Ammonia fuel cells, but someone still needs to pair the two technologies together. The notion that we're going to build enough batteries to create grid storage remains an absurdity. If the batteries were free, then we still wouldn't use them because the rest of the equipment required to use the batteries would still cost more than competing solutions by about half an order of magnitude. The absolute public freak-out over radiation fears, largely fueled by an ignorant and disingenuous media, is both unwarranted and self-destructive, much like the unwarranted wasteful spending on wind and solar plants that don't actually replace fossil fuels, as all available evidence shows. If the climate change people advocating for green energy are against using nuclear power, but take no issue with the associated massive increase in the use of coal and gas to do what wind and solar clearly can't, then I can't take them seriously because their favored power generation activities run directly counter to their stated goals. Anyway, I'm tired of arguing with religious zealots over the validity of their renewable religion. Whenever and wherever reality diverges from their beliefs, they ignore reality and substitute their own beliefs. The states and countries on this planet with the lowest CO2 emissions use the most nuclear and/or hydroelectric power. Anything that wind and solar have done to reduce CO2 emissions is utterly dwarfed by a handful of nuclear reactors. That is fact and the numbers don't lie. It's not possible to completely separate energy policy from ideology. Is energy independence a good idea? Only ideology can decide. There's no objective measure. Is clean air something to be given top priority? Only ideology can decide. Is it worth investing in nuclear power if there is a very small risk of very major disaster that could make large parts of your country uninhabitable ? Only ideology can decide. In my view nuclear power's employment of people is a plus. But it has to be seen in relation to overall costs and overall risk factors. Germany has much higher renewables usage than the UK or the USA but has very strong grid stability. It also has one of the largest (proportional to population) manufacturing industries in the world and is able to supply electricity to that industry sector with high reliability. Basically I think your argument is faulty because you are running ahead of where we are. No one is suggesting we move to 100% wind and solar tomorrow. But in 10, 15, 20 years time we might be able to supply 80% of our energy needs from wind and solar. It depends on cost and technology. Gas is the cheapest energy source on average but wind energy can often beat it on price. I think you should re-focus on cost because cost is a very good indicator of overall resource use. If nuclear power can really get its costs down, that will be a game changer. I am not afraid of kite power but having huge turbines flying around in the air obviously creates a series of logistical and safety issues that have to be addressed and addressing them will bear costs. How much land will be required on the ground? Airports cover huge areas of land and land is expensive. "A big driver of the shift in energy storage is cost, said Yayoi Sekine, an analyst for Bloomberg New Energy Finance. She notes that the price of lithium-ion batteries has dropped from about $1,000 per kilowatt-hour in 2010 to about $209 per kWh in 2017. The decreases came as more batteries were produced at a more efficient scale to accommodate a growing electric vehicle market. "That’s a massive decrease in prices over not that long of a period," she said. Utilities, Sekine said, see an opportunity to use storage to make the grid more efficient." "Others want to take storage and solar a step further. They believe that, as prices become more competitive, the two together can obviate the need for some natural gas plants. According to a new report from Greentech Media, solar and storage together are expected to compete directly with natural gas peakers — plants built to meet peak electricity demand — by 2022." The ideology is price per kilowatt that you want to pay as a consumer or paying one price for the means to do it for as long as your device continues to work.